The renowned Joel Rosenberg published this article titled “TROUBLING DEVELOPMENT: RIFT BETWEEN WHITE HOUSE & ISRAEL GROWING AS THREAT OF WAR RISES” on his blog, which is found here under, on September 4, 2012. This article is a vital read for all those that support Israel and find it important to keep strong relationships with our allies. In recent days, anyone watching U.S.-Israel relations has seen a very troubling development: the already serious rift between the current White House and Israel is growing. The relationship between President Obama and Prime Minister Netanyahu has been strained for nearly four years. But as the threat of war between Israel and Iran this fall continues to rise, the Obama administration seems to be intentionally signaling a growing distance from the Netanyahu government. Consider these examples: The White House is downscaling U.S. participation in long-planned joint military exercises in October. The Obama administration is sending private messages to Iran saying the U.S. won’t back an Israeli strike as long as Iran doesn’t strike U.S. interests (suggesting that the State of Israel isn’t an American interest). The Chairman of the Joint Chiefs told reporters in London that the U.S. doesn’t want to be “complicit” in an Israeli first strike. “Complicit” is a criminal word, implying an Israeli act of self-defense could be illegal, yet America’s top military official used the word anyway. 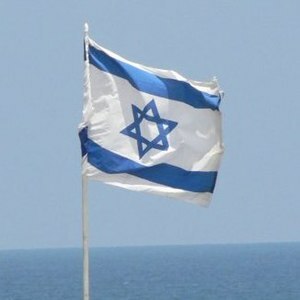 What’s more, the Democratic National Committee this week has even removed pro-Israel elements used in previous DNC platforms — such as asserting Jerusalem is the official capital of Israel and shouldn’t be divided; remaining committed to maintaining Israel’s qualitative military advantage over its neighbors; and describing Hamas as a terrorist organization that should be negotiated with — out of its official 2012 platform, something that could only be done with the direct support of the President and his senior advisors. These developments add to a troubling trend which is making Israeli officials and citizens feel more alone against the Iran nuclear threat than ever before. Will war erupt this fall? That remains to be seen. But U.S.-Israeli relations have rarely been this strained on the eve of major Mideast hostilities. Please pray for the Lord to change the heart of President Obama and his advisors, and that they would change course and truly and publicly stand firmly with Israel, our most faithful ally in all of the epicenter. As we read in Genesis 12:1-3, God promises to bless those who bless Israel, and curse those who curse Israel. With America facing a growing risk of economic and moral implosion, now is certainly not the time to turn our backs on Israel. It is certainly troubling that the U.S. administration and the Democratic National Committee has made the commitment to turn our back on Israel, and changed our decades-long policy to support the sovereignty and military defense of Israel. This is certainly the tense situation I have been afraid of becoming true the last several years. I sincerely hope this situation it resolved shortly. Furthermore, I hope that the U.S. makes a return to its historical policies with Israel. However, that is very unlikely under the current administration as they have shown favor to Muslim-led nations.